I wanted to thank you very much for helping me obtain a better quality of life! I have not had any pain since 3 1/2 weeks after surgery. I only have swelling after doing maybe more than I should. Anyway, thank you again. You are a great Doctor and surgeon! God bless you and your family. I want to express my thanks and gratitude to you for what you have done for me. Your skills have given me my life back. 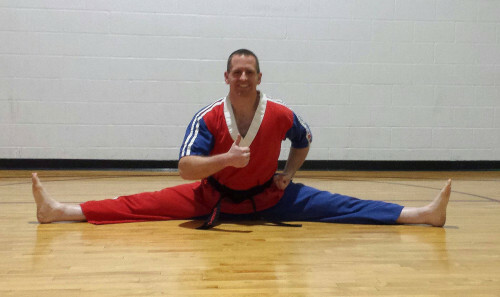 David Karrick, a 3rd Degree Black Belt, had an anterior right hip replacement by Dr. S. Matthew Rose. "As the saying goes, the only limitations in life are the ones you put upon yourself. Thank you Dr. Rose for the everyday enrichment of my life with my new hip!" Just want to thank you for another successful surgery. It's feels very good to not have the tingling in my feet and pressure in my lower back. I am writing to thank Dr. Christian Anderson and the entire TOA staff for the excellent care received during my recent shoulder surgery. Dr. Anderson is first class, and I am so thankful to my dear friend who recommended him to me. He has been very caring throughout this journey and even though the recovery process is a slow one, he has been a constant encouragement to me. I would also like to thank Ashley and Pam at the Mt Juliet office for their kindness. I am doing my physical therapy at TOA Skyline. Franklin and Amanda are excellent physical therapists and great cheerleaders. They have been very considerate and patient with me which has brought me great comfort. Wanda & Theresa greet me before every PT appointment with big smiles and a lot of laughter. A very heartfelt thank you to Dr. Anderson, the staff of the Mt Juliet office, and all those at TOA Physical Therapy Skyline for treating me with respect, kindness and genuine concern for my well-being.